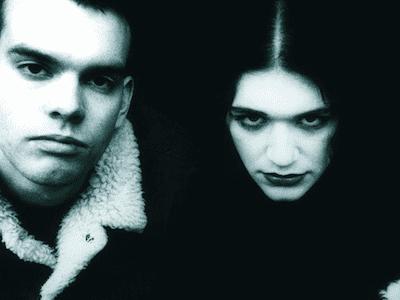 Having marked the milestone of their 20th anniversary with a global tour, a best of collection (A Place For Us To Dream) and a brand new EP (Life’s What You Make It), Placebo have announced that they will be ending their landmark celebrations with an online auction, starting 29 September, with all proceeds going to the chosen charities of CALM (Campaign Against Living Miserably) and The Mercy Centre, Bangkok, (details Below). With a staggeringly diverse history, the band have had an overwhelming number of pieces to choose from, and have hand-picked a list of over 300 individual items. Amongst the personal possessions for sale are an iconic ribbed jumper with cut-away shoulders, which Brian Molko wore in the ‘Pure Morning’ promo video, and a jacket created by the ground breaking punk designer, Vivienne Westwood, and worn by Stefan Olsdal during the band’s 1999 BRIT Awards performance with David Bowie. Westwood’s jacket is one of a number of designer clothing items picked for auction, including pieces by Christian Dior and Robert Cary-Williams. Among the many historical artefacts going up for auction are the Cantiga 15 toy piano and miniature toy ukulele which Brian and Stefan used during the recording of their debut album, and Brian’s smashed Fender ‘Goddess’ Jazzmaster guitar, a result of him clashing guitars with Stefan on stage in the late 90’s. A futuristic iPad guitar used by Stefan Olsdal in the ‘Too Many Friends’ video, a custom made jumpsuit by Maria Chen Pascual that Brian Molko wore in the ‘Special K’ video and even a pair of Brian’s used custom ear plugs also feature. Signed rarities include a 7” of the band’s extremely scarce double A-sided debut single, ‘Bruise Pristine’, released on the indie label Fierce Panda; a CD single of ‘Without You I’m Nothing’ ft. David Bowie’ signed by David himself. Tour posters, vinyl, guitar pedals and fashion accessories worn by the band will also go under the hammer in September, each lot a piece in the bigger picture of the band’s career to date. In choosing to give the proceeds to charity, Brian and Stefan said: “There just seemed to be an endless list of stuff we’d gathered since that day it all began in a London tube station two decades ago. As the big ’20 Years’ drew nearer, we thought it may be time to sift through it all before the hungry city rats got to it; see what would be worth saving from the proverbial fire. We thought to ourselves that maybe some people would even be interested in owning some of these items. So we proceeded to scour our own personal wardrobes, our management office and the band’s own dark and dusty storage space to see what was hiding in cobweb covered corners. Placing our own nostalgia firmly on the shelf, we’ve decided to present our selection of what we believe to be the best and most recognisable items from over the years. – CALM (Campaign Against Living Miserably), a charity dedicated to the prevention of male suicide in the UK. Father Joe Maier who founded the Mercy Centre said: “HDF Mercy Centre care for over 150 girls and boys in five different orphanages. All the children come from destitute backgrounds – abuse, neglect and mistreatment are sadly common. They were used, abandoned, sold or trafficked before they joined our family. At Mercy Centre they are given all that they need – and most importantly they are acknowledged and respected, cared for and loved and treated as equal individuals. We raise the children in the religious faith of their parents and teach them to respect all beliefs. They study art, computer science, dance, music, and sports; and attend formal school as far as their education can take them, often through vocational college. Most of our children suffer a poor health due to maltreatment, lack of proper food, substance abuse, sickness and HIV/AIDS. At Mercy Centre we have a nurse on call, care givers and social workers 24/7. HDF Mercy Centre welcomes our sponsors to get involved and be a part of our Mercy family. For only GBP 160 a month, HDF Mercy Centre can send a child to school, give them housing, food and health care. The auction is set to go live on 29 September, just before the band embark on the final leg of their 20 Years Of Placebo World Tour in the UK.